Acupuncture and Traditional Chinese Medicine (TCM) can aid the prevention and treatment of asthma. Your acupuncturist can help improve your symptoms during and after an asthma attack as well as help prevent future asthma attacks, allowing you to live peacefully with controlled asthma. An added benefit to receiving acupuncture treatments for asthma is that acupuncture also helps to lower your stress levels and improve your general health and well-being. You can enjoy the beautiful effects of calming relaxation and detoxification as well as relieving asthma symptoms. However, [if you are currently taking medication,] you should keep taking your medicine until your condition has stabilized and your prescribing doctor approves discontinuation. Your medication will work better with a better functioning body. If you do have an attack, acupuncture can reduce bronchial spasms, relax the other muscles involved, and ease your mind after an attack. TCM can also help to clean out built up mucus and reduce inflammation. After an attack, TCM can relieve chest oppression and chest tightness. It can calm your nervous system and boost your blood circulation to help you recover more quickly. So how does acupuncture and TCM help with asthma? Let’s find out WHY and HOW your breathing is not functioning correctly and then we can understand how it can be improved. According to TCM, asthma can be due to an excess of external, pathogenic factors such as heat, cold or phlegm. In asthma, there is also usually an underlying deficiency of Qi. The pattern of your asthma symptoms is indicative of which meridians and organs are not functioning correctly and thus determine which substances need help. Generally speaking, an excess of heat, cold or phlegm causes acute asthma. This means more frequent attacks, for example, following an infection. The more chronic phase of asthma is due to qi deficiency of the Lungs, Kidneys or Spleen. Asthma may be either hot or cold, and this is usually diagnosed by the nature and color of your mucus. If you have thick, yellow mucus with inflammation, your asthma is of the hot type. If your mucus is watery and clear, your asthma is of the cold type. It is likely that you will have other symptoms of cold such as cold limbs and poor digestion too. Asthma can be caused by a weakness in the qi of the Lungs, Kidneys or Spleen, or a combination of these. According to TCM, the Lungs and the Kidneys are both critical for healthy respiration. The Lungs are responsible for bringing qi into the body in the form of air, and the Kidneys are responsible for “grasping” qi and holding it within your body. The Spleen, along with its partner the Stomach, is responsible for digestion. This includes taking nutrients from food and converting them into a form that can be used by the body, as well as transforming fluids and sending them to the Kidneys to be excreted. To make a successful treatment plan, it is necessary to identify which organs are weak. In asthma with excessive coughing and abundant phlegm, the Lungs and Kidneys are weak and not performing their functions of respiration as they should. This could be due to internal factors such as emotional stress or long-term illness, or external factors such as allergies, temperature, and environmental irritants. If Lung deficiency is dominant, there will be shortness of breath with inhalation being more difficult, wheezing or rattling in the throat and spontaneous sweating. If Kidney deficiency is dominant, there will be shortness of breath with difficult inhalation and prolonged exhalation, wheezing, and fatigue. If the Spleen is too weak to transform fluids as it should, they remain in the body causing an excess of dampness. If there is also heat present, this dampness gets “cooked” and thickens into phlegm over time. When this accumulates, it causes coughs and congestion among other symptoms. Spleen deficiency is especially harmful to the Lungs. This is because, in TCM, the Spleen and Lungs have an exceptional relationship. According to five element theory, the Lungs belong to the element metal, and the Spleen belongs to the earth. In nature, precious metals can be found deep within the earth’s crust, formed by heat and pressure over the course of many thousands of years. In the body, the Lungs (metal) are fed and nourished by the Spleen (earth). When the Spleen is weak, it cannot do this effectively, and the Lungs become weakened too. The best way to keep your Spleen functioning well is to take care of your diet. Stick to foods which are easy to digest and avoid those which put an extra strain on your Spleen. Foods to avoid include cold or raw foods, greasy foods, and dairy products. Eat more soups and stews and drink water which is warm or at room temperature. This will help to protect your Spleen and therefore benefit your Lungs too. Childhood asthma is often due to a deficiency of what is known as Kidney essence. Kidney essence is present at birth and inherited from your parents. It is then either strengthened or weakened by everything that you do from birth onwards. Diet, exercise, and lifestyle all play a role. Kidney essence is responsible for growth and development in children. Therefore if you have weak Kidney essence during childhood, you may develop problems such as asthma. This can then resolve later in life if your Kidney essence becomes stronger. Once the underlying cause of your asthma has been identified, your practitioner will come up with a personalized treatment plan. Acupuncture treatments will have different frequency depending on your symptoms such as spasms, cough, and mucus. If your asthma is stable, acupuncture can be used as a preventative treatment to reduce the risk of attacks. 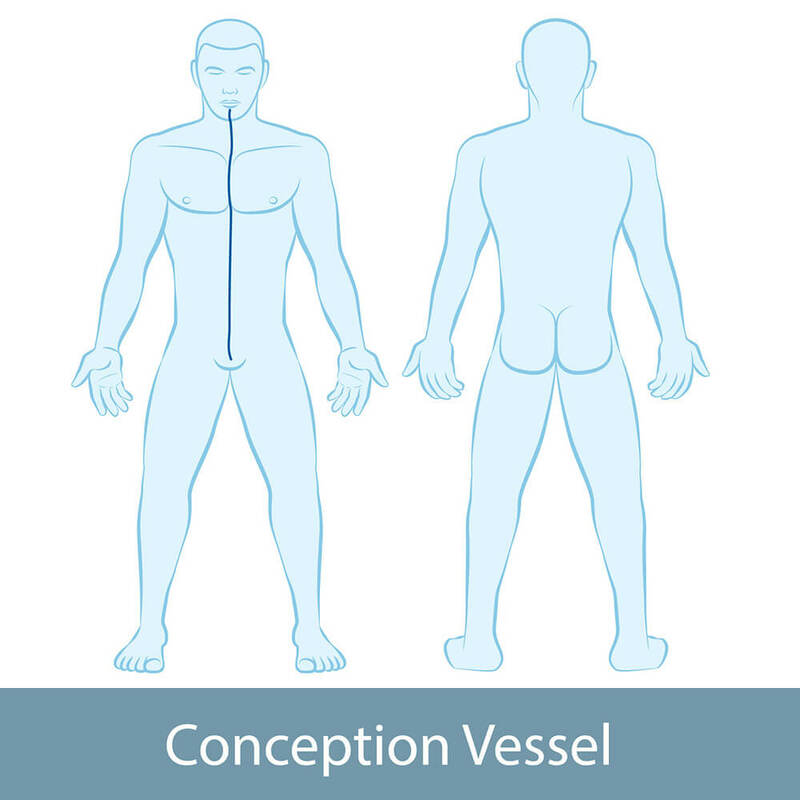 The Conception Vessel – This channel runs from the perineum to the chin, passing right through the center of the chest on its journey. The point CV17 is especially useful as it benefits qi, especially the qi of the Lungs. 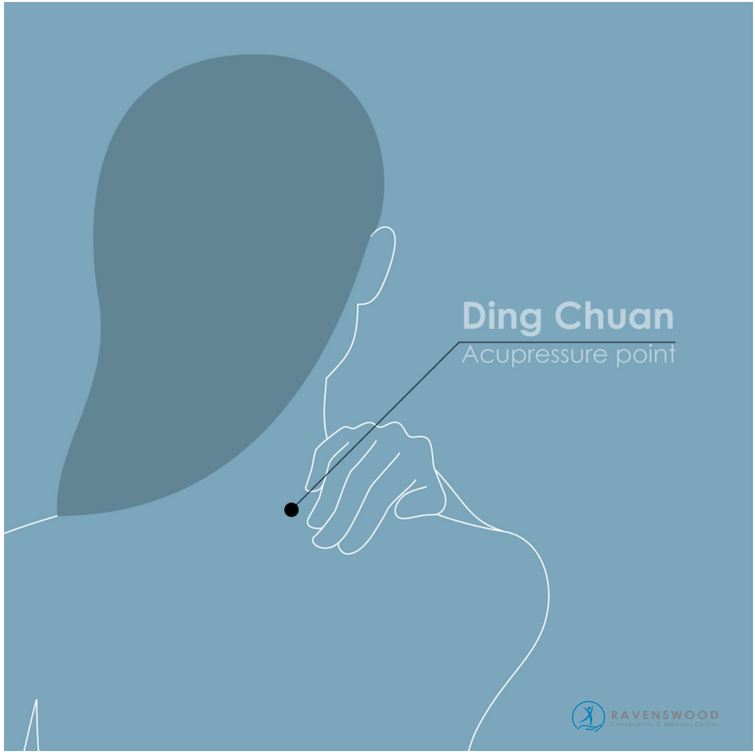 Its Chinese name Dan Zhong means “Centre of the Chest,” giving some indication of the importance of this point. 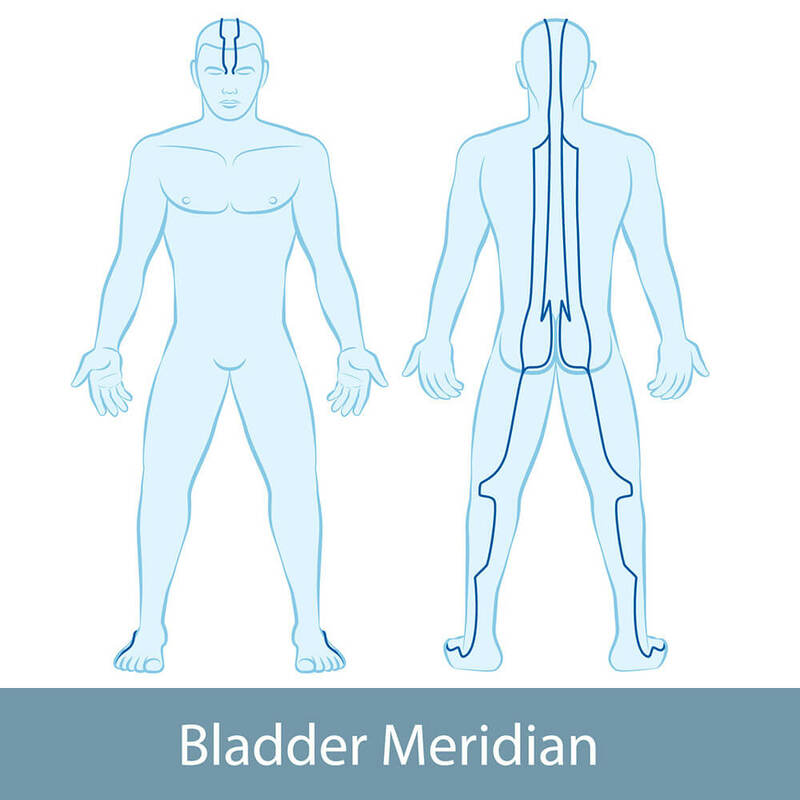 Bladder Channel – The Bladder channel runs from the inner corner of the eye to the tip of the little toe. It passes down the back in two parallel lines either side of the spine. The points BL11 to BL17 run directly over the lungs. The point BL13 is especially important as this is what is known as a back shu point. Back shu points directly influence a particular channel or organ, and BL13 corresponds to the Lungs. 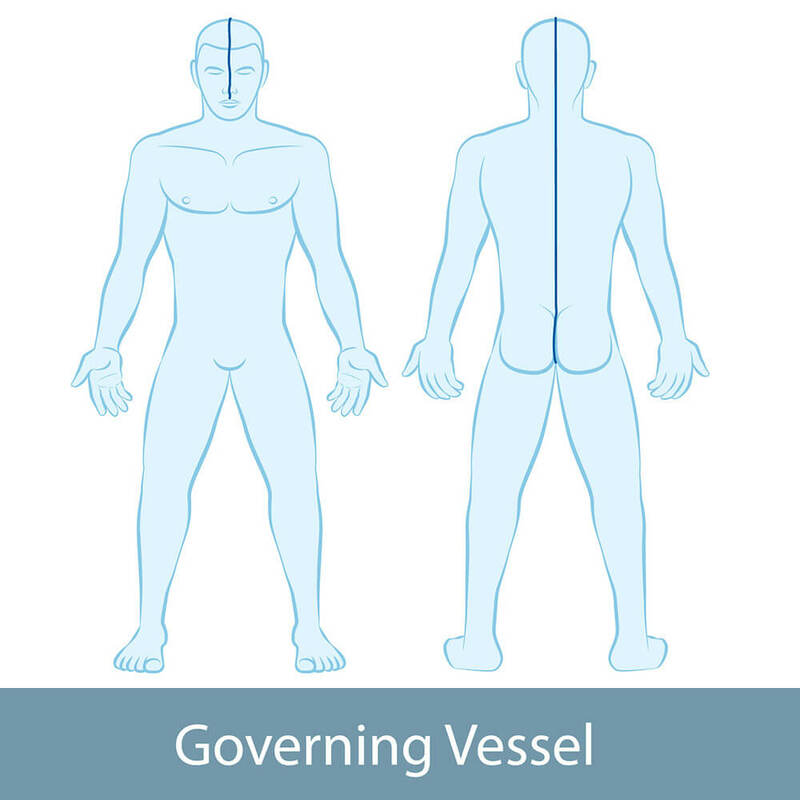 The Governing Vessel – This channel runs from the base of the spine, up over the head and down to the upper gum. It governs the back, the spine, and the body’s yang energy. The point GV14 is especially useful for asthma as it is good at expelling excess heat or cold and relieving coughs. Ding Chuan – Ding Chuan is a unique point that stops asthma. Its name literally means “stabilize panting,” and it can be used to relieve any kind of breathing issues. This point is located around half a thumb width to either side of GV 14, which can be found just below the 7th cervical vertebra. This bone is at the base of the neck and can easily be identified as it is usually more prominent than the rest of the spine. If you or a loved one has asthma, contact our licensed acupuncturist today and find out how we can help you! Our acupuncturist will be able to find out what is the underlying cause of it and then create a treatment plan best fit for you.